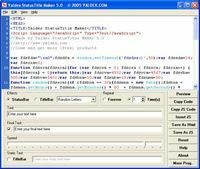 Vectrasoft Web author is one of the easiest authoring tools available that allows you to create professional looking Web pages without learning HTML. 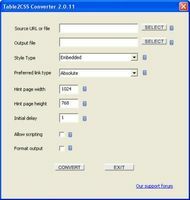 Additional features include - view pages using multiple browsers, create project directories, and built-in FTP client. System requirements: Pentium 166 or better processor. 5 MB free disk space. 16 megabytes of RAM. Changes: Create and view pages using multiple browsers. New text animation routines. Image viewer added to the editor. New project dialog added to the editor. New toolbar design. Improved Web author user manual.